Wladimir Klitschko has likened Conor McGregor to one of the characters in the movie Fight Club as the UFC superstar prepares for his blockbuster bout with Floyd Mayweather Jr.
McGregor has brought his outspoken, brash style to the build-up to this weekend's fight in Las Vegas, the Irishman continually reaffirming his belief that he will be the first man to defeat Mayweather. He has claimed he will beat the American in the early rounds, something the returning boxer has dismissed as he looks to add to his 49-0 record. And Klitschko, who recently announced his retirement from the ring following his defeat to Anthony Joshua in April, says the Irishman's big talking will quickly be forgotten after the fight and sees him more like a movie character than a boxer. "We'll forget about 90 percent or more of all the things they are talking about in the next year or two," the Ukrainian told DAZN. "But the image will stay in your head, forever. McGregor's image speaks for itself. "I think he is a pretty wild guy. He reminds me of the guys in the movie Fight Club, with Brad Pitt." A lot of money has been coming down on the underdog, with countless numbers deciding to bet on McGregor - who is being widely overlooked by the majority of experts. 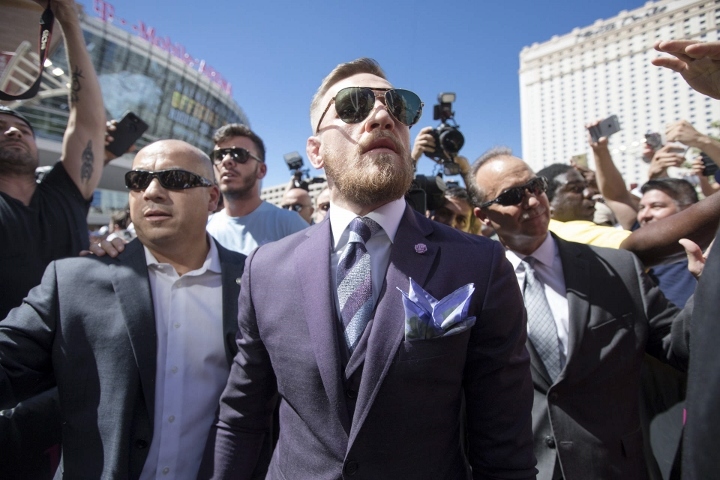 The two-time world heavyweight champion has much more respect for Mayweather, though, who he believes will be remembered as a boxing legend no matter what happens against McGregor. He added: "Whether you like him or not, you have to give him respect. "Everything that Floyd achieved in the boxing ring in all the different weight classes only shows how much quality he has as an athlete. "He is a boxer who deserves his place in history. He does, absolutely. He will be in the Hall of Fame, no doubt." Tags: Wladimir Klitschko Mayweather vs. McGregor Conor McGregor Floyd Mayweather Jr.
[QUOTE=americanlegend;17972925]did floyd c0ck slap you and your mother? go get a ice pack bum[/QUOTE] Jason Shaw is this you again?? ?